I've told you about my daughter wearing glasses before. What I didn't tell you is how we found out she needed them. Those are her first pair of glasses. As adults we may not notice that our children have difficulty seeing. 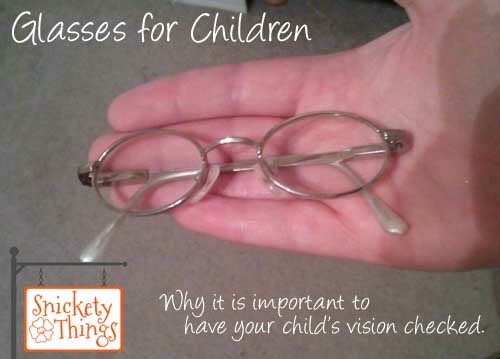 We know when our eyes are going bad (now that I'm 40 I'm wearing reading glasses), but how do you know a two year old can't see properly? Eye exams are important for every member in your family from babies to adults. We didn't know the Princess had vision problems until we took her in for her check up and they did a general test on her eyes. The report came back less than favorable and it was suggested that we take her to an opthamologist to have her eyes checked. We took her in and learned that she did indeed need glasses. She had just turned two and now we were facing a toddler in glasses. Fast forward to now and we are still getting an eye exam for the Princess every year, as well as one for her sister and for us. Most schools screen kids for vision problems, but they do not provide the same level as detection as a comprehensive eye exam from an optometrist. At our school health fair the girls both took the eye exam offered. The results for Boo said she needed a follow up but I had already made her an appointment to go with her sister when school started. 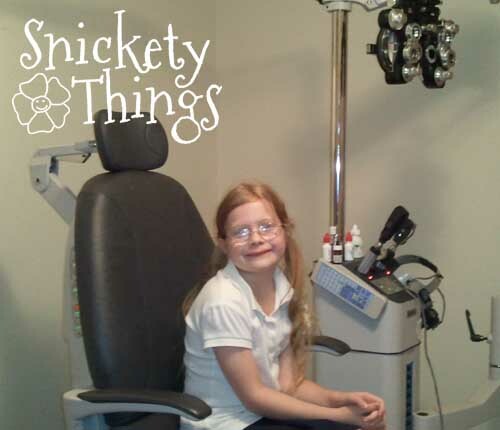 The start of school is an excellent time to have your child's eyes checked. After her exam the doctor said her vision hadn't changed from the previous year (20/20) and she still did not require glasses. Much better than the 20/40 report she got at the school exam. The Princess also had a good report at the appointment showing her vision had also not changed since last year. It also had not gotten better so she still has to wear her glasses. Eye exams can be an expense, but VSP Vision Care can help you take care of your eyes the eyes f those you love. VSP is the leading not-for-profit vision benefits and services company in the United States with 58 million members and a network of over 28,000 private-practice optometrist nationwide. SeeMuchMore.com is a site created by VSP to provide in-depth information and resources to learn about the importance of eye health and enrolling in vision benefits. The site also includes a virtual savings calculator to learn about savings with VSP vision benefits, an interactive, educational game to play and win prizes, as well as helpful information about healthy vision. 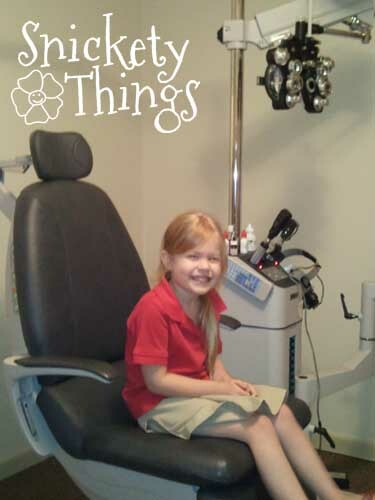 VSP likes to remind parents that they should take their children to the eye doctor for a comprehensive eye exam starting as young as six months old, then again at three years old, before kindergarten and every year after that. Annual eye exams – such as the VSP Vision Care WellVision Exam® – are important to your overall health. They allow VSP eye doctors to detect early signs of health conditions such as diabetes, high blood pressure and high cholesterol, among others. Eighty percent of what we learn is through our eyes, making this an essential for your back-to-school “to do” list. If you aren't sure, watch for the common signs of vision problems include squinting, head tilting, avoiding “close work,” trouble focusing, continuous rubbing of their eyes, headaches, etc. One in four children have an undetected vision condition that can negatively impact learning, don't let your child be one of them. Visit SeeMuchMore for more information about VSP and vision care benefits. I was selected for this post by the Clever Girls Collective, and the content and opinions expressed here are all my own.